Adam was born in Hobart. He graduated from the University of Tasmania in 1987 with Bachelor of Laws and of Economics and was admitted as a Barrister and Solicitor of the Supreme Court of Tasmania and the High Court of Australia in the same year. Adam commenced practice at Piggott Wood & Baker in 1987. 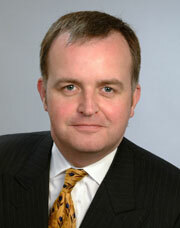 He joined Finlay Watchorn in 1991 and became a principal of the firm in 1998. Adam is President of the Tasmanian Debating Union and has been actively involved in schools debating competitions for about 26 years. He has been chorister in various choirs since the age of eight and sang with the Australian Opera Chorus in 1988. Adam is slowly renovating an 1840's cottage.